Below is the Urdu guess paper for 1st year Inter PART 1 F.Sc and F.A class 11th students. Download the guess papers in PDF or in form of texts and images. Copy the texts or image to your PC or mobile phone or download the original PDF files for Zahid Notes. Below is the guess paper for 1st year Urdu for the year 2019. PDF notes for 9th class Islamic study compulsory have been published now on Zahid Notes. 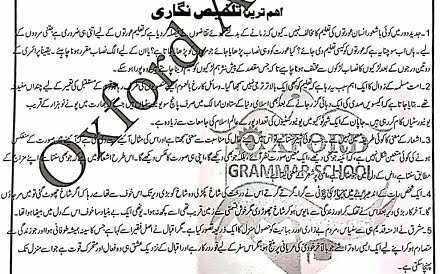 Islamiat notes for 9th class include Suranh Anfaal Translation in Urdu, Ahadees Notes, Mozoati Mutaliah Notes everything in PDF to free download. These notes are for Urdu medium students. Islamic studies notes for 9th class for all Punjab boards can be downloaded below. 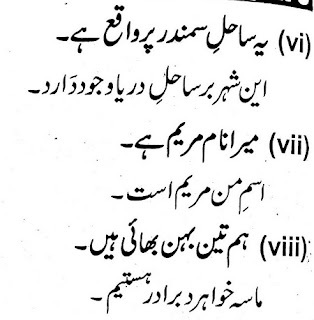 You can see the various kinds of Islamic studies compulsory notes for 9th class are given below. As you can see my website, I have prepared all subjects notes for 9th class both in Urdu and English medium. 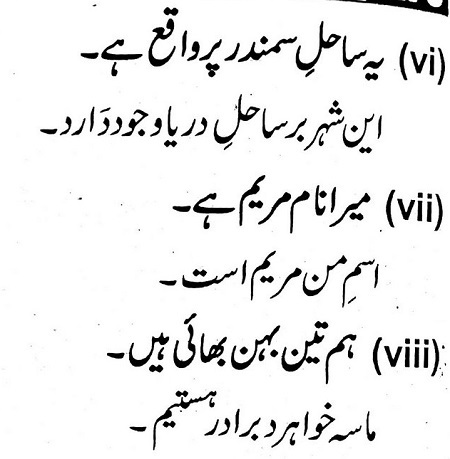 Below is the Islamiat Notes for 9th class in Urdu medium.